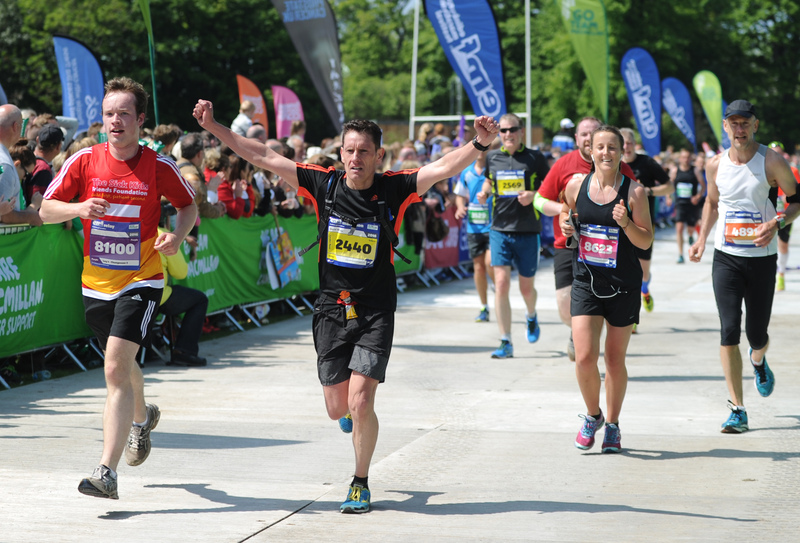 The Edinburgh Marathon is an annual marathon event, run in Scotland over the traditional distance of 42.195kilometers (26.219 mi). 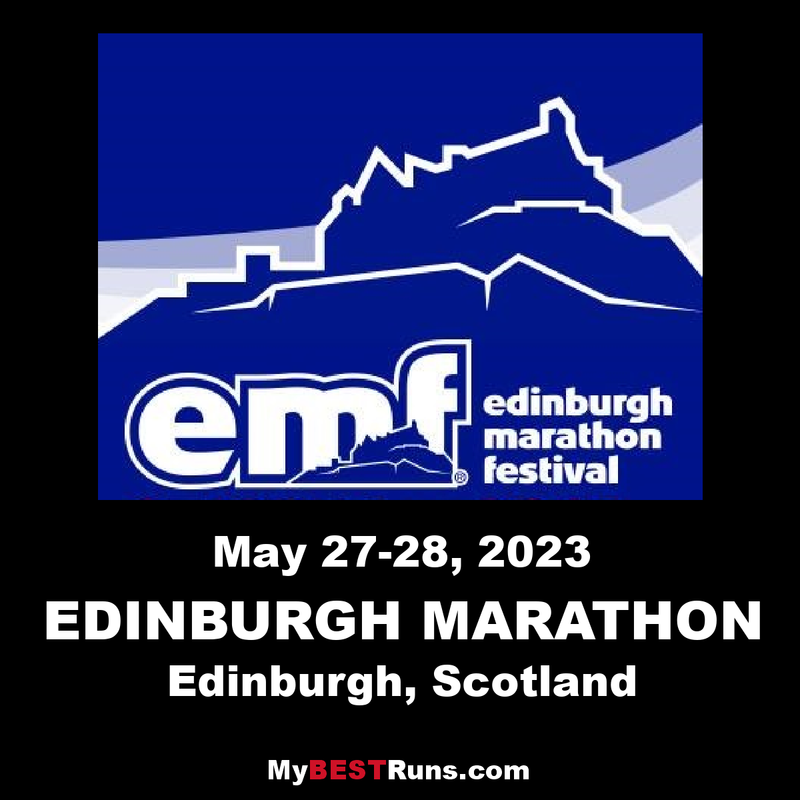 The first marathon event in Edinburgh was in 1982 and since 2003 the Edinburgh Marathon Festival has been held each year, usually in May. The current route begins in the city center, then moves out of Edinburgh into East Lothian, finishing at Musselburgh, East Lothian. 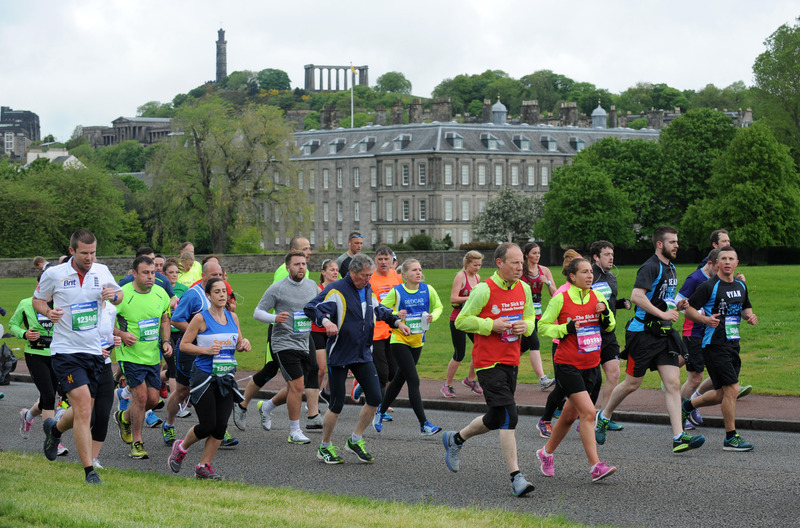 The Edinburgh Marathon has IAAF Bronze Label status and is governed by Scottish Athletics. Starting on Potterrow in the grounds of one of the oldest Universities in the world, this incrediblecity center start takes you through the very heart of Edinburgh. As you pass Greyfriars Bobby on your left, you also take in the National Museum of Scotland on your right, before heading over the High Street and down The Mound. 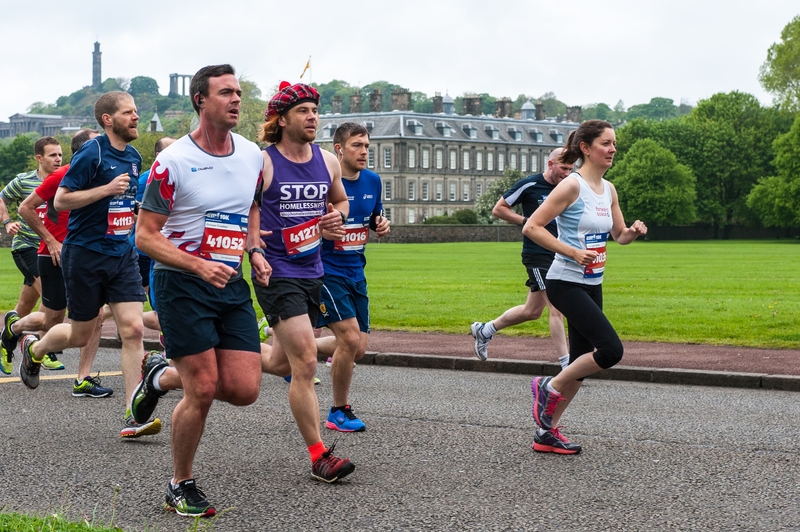 Don’t be surprised if you see a few shoppers stop and cheer as you then run past the Scottish National Gallery and into Princes Street Gardens, with the iconic Edinburgh Castle as your backdrop. The route then takes in the ‘Gothic Rocket’, otherwise known as the Scott Monument, as it meanders down the historic Royal Mile, heading towards and past the somewhat controversial Scottish Parliament building. Here you can look up and take in the spectacular Arthurs Seat & Salisbury Crags, as well as the Palace of Holyrood, before departing the Royal Park and heading east towards the coast. As you reach Musselburgh, you’ll run past the oldest golf course in the world, where it’s documented that golf has been played as early as 1672, before heading further East on the flat to Gosford House, an imposing neo-classical mansion which was one of the last great architectural commissions of the celebrated Scots architect, Robert Adam. As you turn and head back along the coast, you’ll see the beautiful finish line ahead, one of the greatest sights for any marathon runner! 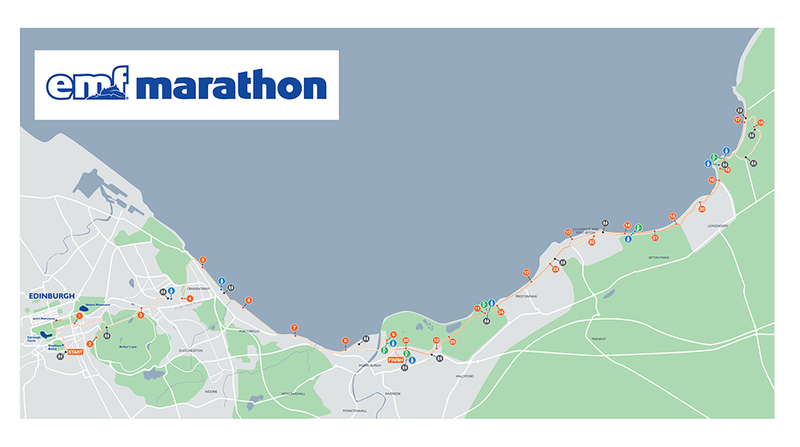 With a descent of almost 90meters to near sea level, we believe that this is the fastest marathon route in the world.